Nazaret is without doubt the biggest Rock Band to emerge from Scotland. They were the pioneers, eventually acquiring legendary status, who took Scottish Rock international and paved the way for many other great Scottish bands that came later.... the likes of Big Country, Simple Minds etc. The original members first came together in Pete Agnew's band "The Shadettes" which he had formed with some school mates in 1961, the line-up being drums, bass and 2 guitars with keyboards being added later. Pete Agnew was lead singer and rhythm guitarist. Darrell Sweet joined in 1963 replacing the original drummer. Dan McCafferty joined in 1965 and now the band had twin lead vocals. Manny Charlton joined in 1968 replacing the original lead guitarist. In 1969, both the bass player and keyboard player were fired for constantly missing rehearsals and showing up late at gigs, so this was when Pete started playing bass for the first time and they were now down to the four guys who changed their name to NAZARETH in 1970. In 1971 they gave up their day jobs, moved to London and recorded their first album Nazareth which was the beginning of what was to become a long and illustrious recording career. Although Nazareth and the second album Exercises received reasonable reviews, they were by no means big sellers. It was when they toured America with Deep Purple in the 1972 that they met Roger Glover who went on to produce their breakthrough album Razamanaz in 1973 that included the hits Broken Down Angel and Bad Bad Boy. The next album, Loud'n'Proud was released in 1974 and featured the single This Flight Tonight, a song written by Canadian, Joni Mitchell, which became a massive hit throughout Europe. It was also a huge hit in Canada where the band became the first non-Canadian band to do a coast to coast tour of the country that wasn't just part of a North America tour. When they arrived they were told it was the fastest selling Canadian tour of all time and in fact had sold out faster than Elvis who had been there recently. As you can imagine, you can still hear a host of "faster than Elvis" jokes in NAZARETH dressing rooms to this day. 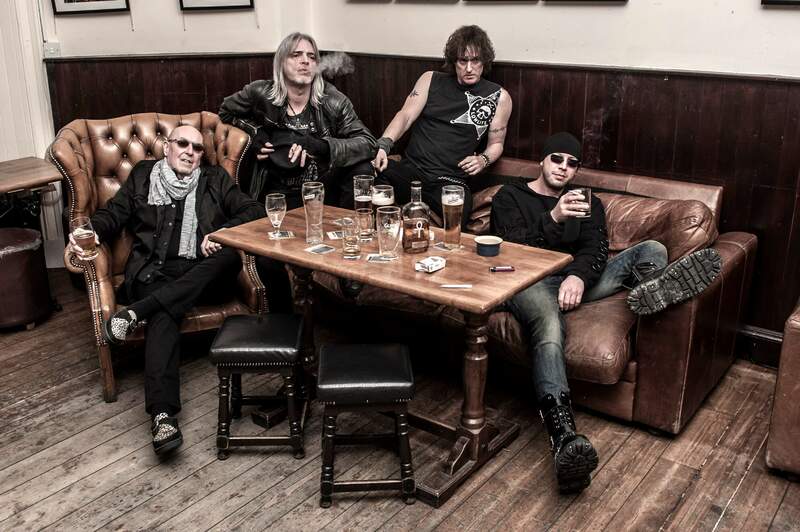 Then came Rampant and the massive tour in support of it's release seeing the band play 50 shows in 9 countries throughout Europe and Scandinavia putting 3 albums (Razamanaz, Loud'n'Proud and Rampant) into the top 20 at the same time. The tour was quickly followed by the release of the single My White Bicycle which gave them another chart hit in UK and Germany. They were now riding a crest of popularity around the world but still had not managed to get that elusive American hit that every band needs to prove that they really are a global success. As it turns out, that hit was just around the corner. The classic album that brought them American success and international acclaim was the next one, Hair Of The Dog and it's title track (popularly, though incorrectly known as 'Sonofabitch' due to it's hook lyric) became a staple of Rock Radio throughout the world. ... The American version of the album contained the beautiful Love Hurts which still sets the standard for a rock ballad vocal to this day. The song became a worldwide hit, reaching No.1 in many countries and famously staying at No.1 in Norway for 14 weeks, making it one of the world's 'longest at No.1 singles'. In 1982 the band released Dream On, another ballad that was to become an anthem throughout Europe. The world touring circuit changed dramatically in 1989 when the Berlin Wall came down and suddenly Western rock bands had access to the whole of Eastern Europe, and especially the biggest country in the world, Russia, for the first time. It was (and still is) an incredible time for NAZARETH, as they soon found out that for years, Russians considered them one of the world's biggest bands and on the first tour in 1990 they started out with 10 shows in Moscow's Olympic Stadium and 12 shows in St.Petersburg's Olympic Sports Palace. 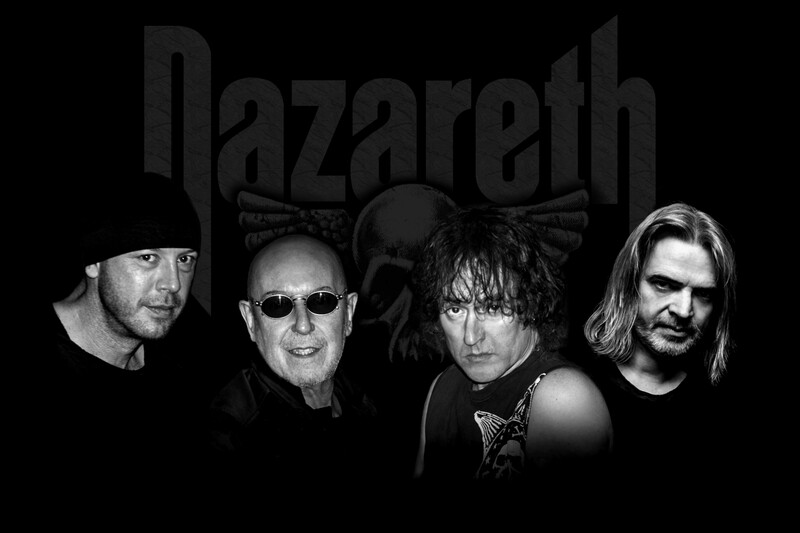 ...From 1971 till now NAZARETH have recorded 23 studio albums, earning them platinum, gold and silver awards throughout the world with 3 platinum and 8 gold albums coming from Canada alone. Carl Sentance (who joined the band in 2015 after Dan McCafferty had to retire due to ill health). Reviewing one of the first shows with Carl performing as lead singer, a member of the Rock press confirmed what the band members already agreed that: "He fits right in as a man on a mission to prove his worth and totally nails it. He has mastery of the material and wears the songs like an old leather jacket". 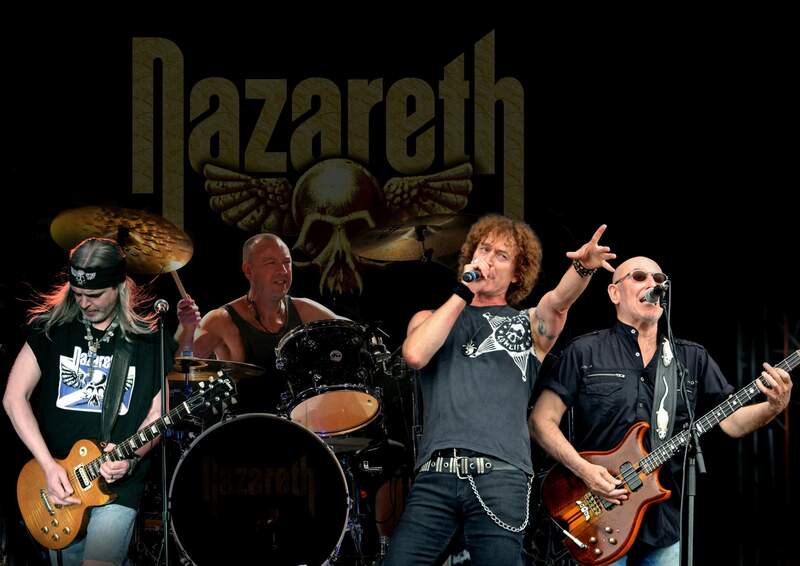 Over the last five decades NAZARETH have played literally thousands of concerts worldwide ranging from rock clubs to stadiums and when asked one time if he could remember playing in a certain town, Pete answered "if it's got electricity we've played it".